Welcome to Ratafia & Company, CPAs, where we promise our clients timely answers, professional advice and personal support. We offer a full range of accounting, tax, incorporation and financial services options designed to meet the needs for yourself or your business. We can help you save taxes, prevent costly mistakes and free up time to run your business. Since 1993, we have proudly served the New York area with services that can immediately benefit any new or existing business and individuals. Our services transcend accounting to include virtually every aspect of your financial life, whether corporate, personal or estate. Our NY accounting firm also provides start-up services, IRS problem resolution, Quickbooks support and training along with assistance for holders of employee stock options. Call Ratafia & Co., CPAs, PC today at (212) 889-0781. Since 1993, we have been providing our clients with the vital advice they need so they can keep more of what they make. In addition to servicing clients in New York, New Jersey and Connecticut, we also handle clients around the country and have specialties in a variety of disciplines. 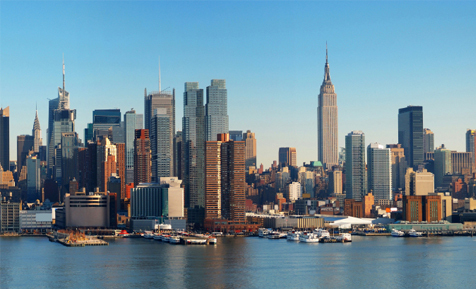 Our New York City CPA firm works with all kinds of small to mid-sized businesses in New York, New Jersey and Connecticut. We offer accounting, bookkeeping, QuickBooks training, tax preparation, tax planning, incorporation, help with IRS tax problems, and more. If you're looking for a productive relationship with trusted financial experts, Ratafia & Co., CPAs, PC may be the right match for you. Need a free consultation? You can call us at (212) 889-0781, or click below to fill out our website form. Ratafia & Co., CPAs, PC is a New York City CPA firm that provides a wide variety of accounting, tax and financial management services. Our clients are located in towns like New York City, Manhattan, Westchester, White Plains, Pleasantville, Hawthorne, Tarrytown, NY, NYC, and more. We service clients in New York County and Westchester County.